$148,200 for a Crypto Collectible? 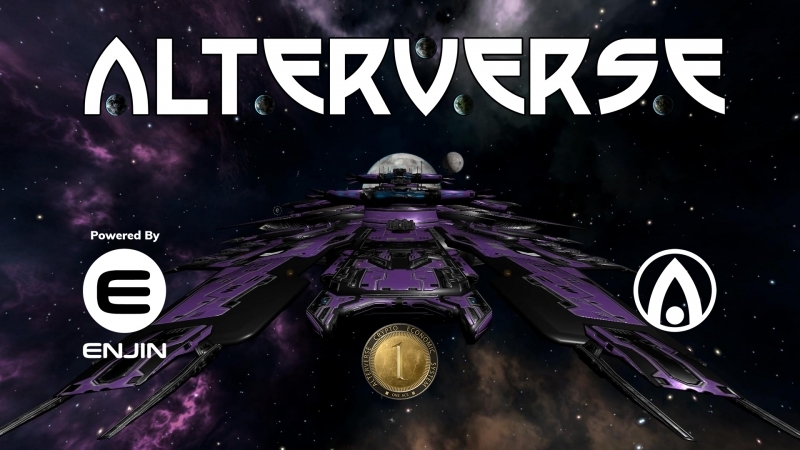 – AlterVerse Inc.
Home $148,200 for a Crypto Collectible? The AlterVerse Launches The First Ever Multiverse Crypto Collectible Auction! 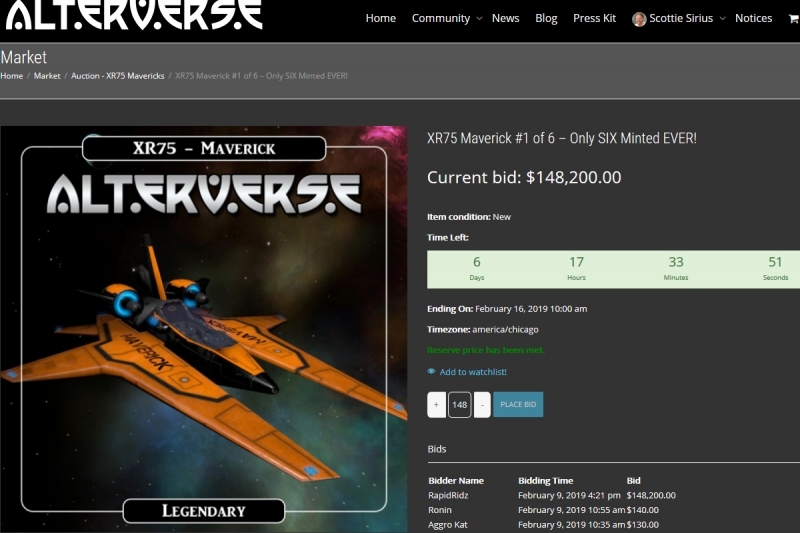 On Saturday Feb. 9th, 2019, AlterVerse Inc. launched the first ever Enjin Multiverse Crypto Collectible auction. A featured item in the auction is the XR75 Maverick. Only 6 of these skins will ever be minted. Ownership will be tracked on the blockchain. Within hours of the auction starting, a bid for over $11,000.00 came in from one party for an XR75 Maverick. Within a couple more hours the bid shown above for $148,200.00 came in! The last day of the auction is this coming Saturday, February 16th so get your bids in now! But please be careful when typing in the amount! We’ll see you soon in the AlterVerse! You can learn more about the AlterVerse and AlterVerse: Disruption by visiting the AlterVerse website or following us on Twitter, Facebook, Telegram, Discord, or join our brand new Reddit community.